We believe there is no more pressing issue facing society than climate change. Our purpose is to enable a better power society for the environment and for energy consumers. 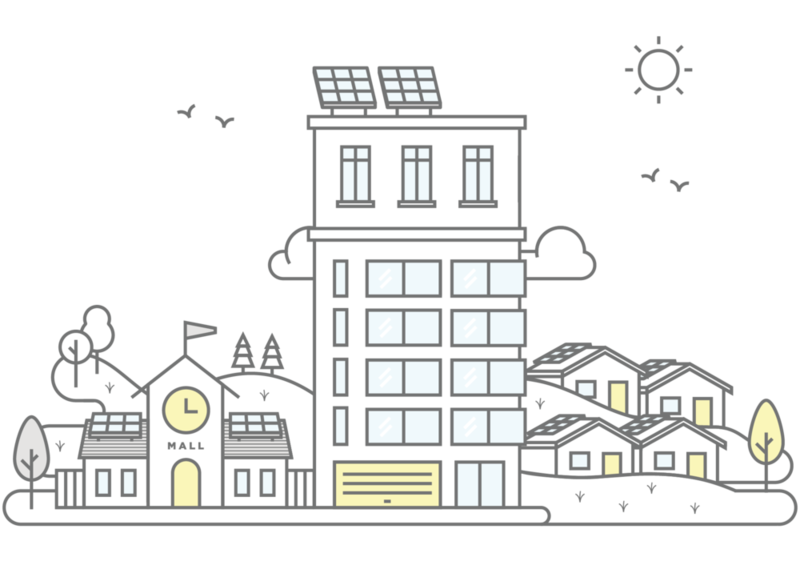 We have created a platform for the energy sharing economy, where collaborative communities of homes and businesses can accelerate the adoption of cheaper, greener energy technologies. Our smart optimisation software enables this new generation of energy technologies to have the greatest possible impact. As the global community moves towards a more sustainably powered future, residents of multi-tenanted property are looking for ways to contribute to a cleaner, greener environment and will increasingly purchase and lease property on that basis. From apartments to airports, and retirement villages to retail complexes, if your property is a collection of individually owned or tenanted units then we can help you reduce the impact of your property’s energy consumption on the environment, create a competitive advantage when acquiring tenants and dramatically reduce the payback period of your capital investment in solar. The approaching exponential growth in solar can be leveraged by energy retailers to promote a future of sustainable energy consumption, and drive customer acquisition and retention strategies. We have created a platform through which energy consumers (both retail and commercial) have the ability to become part of a virtual energy community, supplementing their grid supplied power with solar-generated renewables, regardless of whether they have invested in solar installations.